As water researchers and practitioners - and as individuals - we have come from around the world and chosen to act together to change ‘business as usual’ in how we access, use, and reuse water. 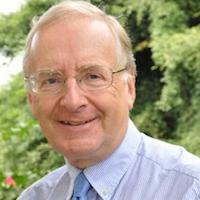 Quentin Grafton is the Convener of the Geneva Actions on Human Water Security. He is a Professor of Economics, Chairholder of the UNESCO Chair in Water Economics and Transboundary Water Governance and Director of the Centre for Water Economics, Environment and Policy (CWEEP) at the Crawford School of Public Policy at the Australian National University. He is a Fellow of the Academy of Social Sciences in Australia, an Adjunct Professor at the National University of Singapore, Honorary Professor at Lincoln University and President (2017-18) of the Australasian Agricultural and Resource Economics Society. Quentin currently serves as the Director of the Food, Energy, Environment and Water (FE2W) Network, which he helped found in 2014, as Editor in Chief of Policy Forum.net, which was established in 2014 and as Executive Editor of the Global Water Forum, which he founded in 2010. Sonia Akter is Assistant Dean (Research) and Assistant Professor at the Lee Kuan Yew (LKY) School of Public Policy at the National University of Singapore. She graduated with a PhD in Environmental Management and Development from the Australian National University in 2010, and holds a MS degree in Economics from York University, Toronto, Canada. Her three key research interests are climate change mitigation and adaptation policy, agriculture and food security, gender equity and women empowerment. She has published extensively on the design of institutions to encourage resilience and economic approaches to address socio-economic vulnerability to climate change. Dr. Tayyeb Akram is Professor of Civil Engineering and Director, COMSATS Institute of Information Technology, Wah Campus, Pakistan. He is associated with UNESCO Chair on “Knowledge Systems for Integrated Water Resources Management”. He has more than 30 years’ experience in teaching, research, and management. He completed his BS Civil Engineering at the Military College of Engineering, Risalpur, Pakistan. MS Degrees in Geotechnical Engineering and Construction Engineering and Management from The University of Michigan, Ann Arbor, USA. He holds a PhD in Transportation Engineering from Texas A&M University, College Station, USA in the fields of and Ph.D in Civil Engineering from Texas A&M University, USA, MS in Civil Engineering (Geotechnical) and MS in Construction Engineering & Management from the University of Michigan, Ann Arbor, USA. Prof. Asit K. Biswas is one of the world’s leading authorities on water and environment. He is Co-founder of the Third World Centre for Water Management, Mexico, and is currently Distinguished Professor at Lee Kuan Yew School of Public Policy, Singapore. He was member of the World Commission on Water, and a founder of International Water Resources Association and World Water Council. He has been senior advisor to 19 governments and six Heads of United Nations Agencies; Past President of International Water Resources Association and advisor to CEOs of major MNCs. He is author of 83 books and over 650 scientific and technical papers. His work has been translated into 37 languages. Thomas Bolognesi is a senior researcher at the University of Geneva and member of the UNESCO Chairs programme in Hydropolitics. His fields of research include political economy and institutional and organisational economics. The focus of his research falls on water utilities regulation, and the linkages between water security and water governance. He is a series editor of the Palgrave Studies in Water Governance: Policy and Practice. Christian Bréthaut is assistant Professor at University of Geneva where he co-leads the UNESCO Chair on hydropolitics with Prof. Géraldine Pflieger. Since August 2014, he has been in charge of the Research and Education component of the Geneva Water Hub. His work focuses on environmental policies and on water governance in particular. He focuses on transboundary water management, on challenges related to intersectorality and on the link between science and policy. Christian Bréthaut is co-editor of the book series entitled "Palgrave's Series in Water Governance ". Roy Brouwer is Executive Director of the Water Institute and Professor of Economics at the University of Waterloo, Canada. 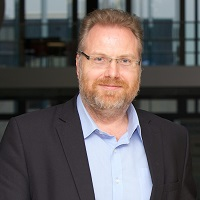 He is visiting Professor at the Swiss Federal Institute of Aquatic Science and Technology (Eawag) in Zürich, member of the External Advisory Board of the Vienna Technical University Doctoral Program on Water Resource Systems and Editor-in-Chief of the journal Water Resources and Economics. Before joining the University of Waterloo, he was head of the department Environmental Economics at VU University in Amsterdam. Professor Bunn is the Director of the Australian Rivers Institute at Griffith University. His research interests are in the ecology of freshwater systems with a particular focus on the science to underpin river and catchment management. Stuart has extensive experience working with international and Australian government agencies and industry on water resource management issues, and has served as an Australian National Water Commissioner and as a Director of Land and Water Australia. He currently chairs the science advisory committees for the Murray-Darling Basin Authority and the Healthy Land and Water Partnership, and is a member of the Executive of the new Sustainable Water Future Programme. Margaret Catley-Carlson operates within Boards of Organizations focused on improved water resource management and agricultural productivity and rural development, serving with 20+ in the last decades. Now PAC Chair of the International Commission on Integrated Mountain Development (ICIMOD), Vice Chair Canadian Water Network Board, member Syngenta Foundation for Sustainable Development, International Fertilizer Development Council, International Food Policy Research Institute (IFPRI), and Thinker in Residence for Belgian Academy of Sciences. Is a Patron/ past Chair Global Water Partnership, member of the Council of Advisors of the World Food Prize, Library of Alexandria in Egypt, and the Robert Daughterly Institute on Water for Food production. Jurist of the Tyler and Stockholm Water Prizes. President Canadian International Development Agency 1983-89; Deputy Executive Director UNICEF New York 1981-1983; President Population Council New York 1993-98; Deputy Minister Health and Welfare Canada 1989-92. Ms. Catley-Carlson has ten honorary degrees and is an Officer of the Order of Canada. Colin Chartres is the incoming CEO of the Crawford Fund, a Canberra-based NGO that enhances Australian contributions to international food security via training and advocacy. He also chairs the Expert Review Panel of the Australian Water Partnership, an Australian Government funded organisation that supports water professionals contribute to water policy and management in the Indo-Pacific region. He is an Honorary Professor at the Australian National University. Previously, he was Director General (2007 – 2012) of the International Water Management Institute, based in Colombo, Sri Lanka. Prior to moving to Sri Lanka, Professor Chartres was Chief Scientific Advisor to Australia’s National Water Commission and held senior roles in the Bureau of Rural Resources, the Australian Geological Survey Organisation and CSIRO. Dr. Diane Dupont is the Scientific Director of the Water Economics, Policy, and Governance Network, located at Brock University, Niagara Region, Canada. She is a Professor of Economics and member of Brock University’s Environmental Sustainability Research Centre. She has received a Chancellor’s Chair in Research Excellence and the Distinguished Research and Creative Activity Award. Her research examines ways to encourage more efficient and sustainable use of water resources. She is an Associate Editor for Water Resources Research, Canadian Journal of Water Resources, and Water Resources & Economics and has been a board member for the Canadian Water Network. Gabriel Eckstein is Professor of Law at Texas A&M University where he focuses on water, natural resources, and environmental law and policy issues at the local, national, and international levels. He regularly serves as an expert advisor to UN agencies, national and sub-national governments, non-governmental organizations, and other groups on US and international water and environmental issues. He also directs the consultancy International H2O Solutions, LLC (www.IH2OS.com), as well as the non-profit International Water Law Project (www.InternationalWaterLaw.org), and serves as Associate Editor for Brill Research Perspectives: International Water Law and on the Editorial Board of the Journal of Water Law. Dr Bienvenu Armand Eric Foto has a Doctorate from the University of Lille and previous degrees from Unversity of Rene Descartes, Paris and Russia. He is a chemical engineer by training with specialisations in water and health. He is currently Chief of Hydrosciences, Lavoisier Project on Water Resources Management and UNESCO transboundary water management. Dr. Peter Gleick is a leading scientist and communicator on water and climate issues. In 1987 he co-founded the Pacific Institute, which he led as president until mid-2016, when he became president emeritus. Gleick received the MacArthur “genius” Fellowship and is a member of the U.S. National Academy of Sciences. He is a recipient of the Ven Te Chow Award from the International Water Resources Association and the United States Water Prize from the US Water Alliance. Gleick’s work addresses the consequences of climate change for water resources, conflict over water, the “human right to water,” and he pioneered and advanced the concepts of the “soft path for water” and “peak water.” He serves on the boards of numerous journals and organizations and is the author or co-author of many scientific papers and eleven books, including the series The World’s Water (Island Press, Washington) and A 21st Century U.S. Water Policy (Oxford University Press, New York). Gleick holds a B.S. from Yale University and an M.S. and Ph.D. from the University of California, Berkeley. Dr Horne is a former Deputy Secretary in the Australian Department of Sustainability, Environment, Water, Population and Communities (2007-2010), with responsibility for Water. He was the inaugural Chair of the Murray Darling Basin Senior Officials Committee and the Council of Australian Governments’ Water Reform Committee. In 2010 he was awarded the Australian Public Service Medal for his contribution to water policy. He is currently a Visiting Fellow at the Australian National University and member of a number of international advisory groups. He has a broad interest public policy, and a particular interest in water governance and infrastructure policy. 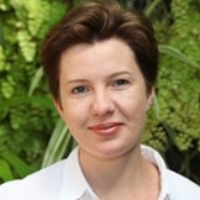 Karen is Deputy Director at the Global Change Institute at The University of Queensland. Trained as a political scientist and economist, she has a particular interest in public policy relating to sustainable development. Her research focuses on water and energy security, the role of the state in climate change mitigation and adaptation, and the links between international trade and environmental regulation. She is a member of the Future Earth Australia Scientific Steering Committee. Tony Jakeman is Professor, Fenner School of Environment and Society, The Australian National University (ANU) and Director of the Integrated Catchment Assessment and Management Centre, ANU. While his main background is in applied mathematics and hydrological modelling, his strongest interests are integrated assessment methods and decision support systems for water and associated land resource problems with management of uncertainty a major consideration. Experience includes modelling and management of water supply and quality problems in relation to climate, land use and policy changes and their effects on biophysical and socioeconomic outcomes. Professor Jakeman is on the highly cited researcher list by Thomson Reuters (top 1% in Computer Science), 2015. In 2016 he was elected Fellow of the American Geophysical Union. He has held visiting positions at Stanford, Cambridge and Lancaster Universities, CSIRO, Cemagref/IRSTEA in France and the US Geological Survey; and is Adjunct Professor at Edith Cowan University. Dr Qiang Jiang is an associate research fellow at Sichuan University, China. Dr Qiang Jiang worked for CSIRO in Australia from 2004-2007. In 2013 Qiang Jiang finished his PhD at the Australian National University. His research focuses on water trading, food security and computer modeling. Dr Qiang Jiang is developing a global water and food security model. Dr. Pamela G. Katic received her Masters in Environmental and Resource Economics and her PhD in Economics from the Australian National University. From 2011 to 2017, she worked as a Researcher at the West Africa Office of the International Water Management Institute (Ghana, Africa), a CGIAR-supported research institute. In this position, she gained experience assessing the constraints and opportunities of innovative land water management technologies in Africa. Dr. Katic is the author of technical papers published in various economics, hydrological and labour journals and is now a Scientist at the Natural Resources Institute, based at the University of Greenwich, UK. Mrs Euphrasie Kouassi-Yao, former Minister in charge of Women and Family and children, Member of Social and Economic Council. The UNESCO Chair Holder is an unusual woman for her professional background. She contributed to create a favourable frame for gender promotion and women empowerment in Côte d’Ivoire. To date, her commitment for a society of equal rights and equal opportunities for each woman and each man provided her several awards, among them, Excellency award from the Head of State of Côte d’Ivoire (2013). She is Special Adviser of the Head of State for Gender and Social Affairs. Amanda Lynch holds the Sloan Lindemann and George Lindemann, Jr. Distinguished Professorship at Brown University, where she is Director of the Brown Institute for Environment and Society. Lynch conducts research on the science and governance of Arctic climate systems, has published more than 100 peer-reviewed articles, policy briefs, book chapters and books, and developed he first Arctic regional climate system model in 1993. She is Vice Chair of the World Climate Research Programme Joint Science Committee, a Fellow of the American Meteorological Society, and Fellow of the Australian Academy of Technological Sciences and Engineering. Nathanial Matthews is Program Director at the Global Resilience Partnership. He is a multidisciplinary scientist with publications on a broad range of topics across resilience, risk, water, energy, agriculture and ecology. He has extensive on-ground experience having worked in over 30 countries primarily across Africa and South and Southeast Asia. He contributes to numerous global networks including the Food, Environment, Energy Water Network and IPBES. He is a Senior Visiting Fellow at King’s College London, a Visiting Fellow with the University of East Anglia’s Water Security and International Development Centre, and Fellow of the Royal Geographic Society. Prof. Marchena is Advisor Sustainable Water Technology and Innovation at WEB Aruba and has more than 30 years’ experience in energy and desalination efficiency, drinking water conditioning and quality assurance at WEB Aruba. He obtained his MSc degree in Chemical Technology at the Technological University of Delft and his PhD degree at the University of Twente, the Netherlands. For his research regarding desalination sustainability he obtained 4 awards from GE WPT and three patents. He is also UNESCO IHP LAC Focal Point of Aruba, working group member of GWADI LAC and president of the Education Foundation FESTAS. Prof. Bancy Mbura Mati is Director of WARREC and Professor at JKUAT in Kenya. She previously worked with ICRISAT as Programme Manager of IMAWESA, covering 23 countries in Africa (2005-2010). She also worked with the International Water Management Institute (2003-2005). Bancy is member of Advisory Committee of United Nations University’s UNU-FLORES, and serves on various Boards in Kenya including; National Biosafety Authority, Engineers Board of Kenya and Kenya Water for Industry Association. She previously served (2004-2007) on the Board of Global Water Partnership. Bancy is an active consultant and researcher, with over 140 publications and is passionate about water management. Céline Nauges is a senior researcher at the French Institute for Research in Agriculture (INRA) and Toulouse School of Economics (France). Her main research interests are in agricultural and environmental economics. Her research has focused on supply and demand management of drinking water in developed and developing countries, risk management in agriculture, and the analysis of agricultural policies and their impact on the environment. Céline Nauges has published a number of scientific articles on these topics and she is also serving regularly as an expert for international institutions such as the OECD or the World Bank. Daniel Olago is Associate Professor at the Institute for Climate Change and Adaptation, and the Department of Geology, University of Nairobi. His current research interests focus on the interactions of groundwater, surface water, climate, environment and human linkages with a special focus on eastern Africa. He has been involved in capacity strengthening in local, regional and international contexts for a diverse range of stakeholders, from grassroots, through management to policy-making groups and government agencies. Daniel is Chairman, Network of African Science Academies (NASAC) Water Programme Steering Committee; Member, International Lake Environment Committee (ILEC); Fellow of the Geological Society of Kenya and African Academy of Sciences. Eltayeb Onsa is a Professor of Civil Engineering and Chairholder of UNESCO Chair in Water Resources - Omdurman Islamic University (OIU), Sudan. 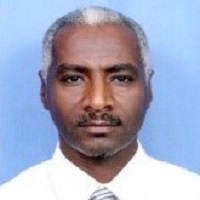 He is Co-founder and Director of Integrated Water Resources Management Network-Sudan. Chairman of the Steering Committee, IWRM Net-SD. X-Dean, Faculty of Engineering Sciences, OIU. Co-Founder of Alhikma College of Science and Technology (Sudan). Project Manager and Consultant for many infrastructure projects (Bridges, water treatment plants, waste water treatment plants, …etc.) He has many publications in geotechnical engineering, structural engineering, and water. Member of OIU Senate. Member of Technical Committee for Services at the Sudanese Standardization and Metrological Organization. Adrian Parr is Director of the Taft Research Center at the University of Cincinnati, USA. She is a UNESCO Co-Chair of Water Access and Sustainability. Parr is a full Professor with a joint appointment in the Department of Political Science and the School of Architecture and Interior Design. She has published several books, the most recent being Birth Of A New Earth (Columbia UP, forthcoming) and The Wrath of Capital (Columbia University Press, 2013). In 2010 she was awarded the Rieveschl Award for Scholarly and Creative Work. She produced and co-directed the award winning documentary The Intimate Realities of Water. Géraldine Pflieger is Associate Professor in Urban Policy and the Environment at the University of Geneva (Department of Political Science and Institute of Environmental Science) since 2010. She holds the UNESCO Chair in Hydropolitics at the Université of Geneva. A Doctor of the Ecole Nationale des Ponts et Chaussées (Laboratory Techniques, Territories, Societies, LATTS), she was a visiting scholar at the University of California, Berkeley in 2002 (Institute of Governmental Studies, IGS), a Senior researcher at the Swiss Federal Institute of Technology, Lausanne, from 2003 to 2008 and an Assistant Professor at the University of Lausanne (Institute of Political and International Studies) from 2008 to 2009. Her current research work deals with the governance of common resources (mainly water and land) at the international, regional and local scales, and with the transformation of the government of metropolises facing great infrastructural and environmental challenges (for example issues of coordination between transport and land use or between urbanisation and the use of natural resources). Her two main teaching fields are the environment and international relations and urban policies. David Pietz is Professor of Chinese History, and Director of the Global Studies Program at the University of Arizona. He also holds the UNESCO Chair in Environmental History. Dr. Pietz’s research focuses on environmental history of China. His publications include The Yellow River: The Problem of Water in Modern China (2015), Engineering the State: The Huai River and Reconstruction in Nationalist China (2002) and State and Economy in Republican China: A Handbook for Scholars (1999). His research has been supported by grants from the National Science Foundation, the National Endowment for the Humanities, the Mellon Foundation, the American Philosophical Society, and the Institute for Advanced Studies (Princeton). Yves Prairie is a full professor at the Université du Québec à Montréal. A founding member of the GRIL research center (a multi-university research centre in limnology), he was its director for 9 years. His main research focus is on all aspects of carbon cycling. He initiated and co-led the NCEAS working group on the role of lakes and reservoirs in the global carbon budget. He currently is the President of the International Society of Limnology (SIL). His research interests combine carbon and nutrient biogeochemistry, statistical modelling of ecosystem processes, and physical limnology. Nazmun is a Senior Lecturer in Economics at the Faculty of Agribusiness and Commerce, Lincoln University. Her current work focuses on sustainable development and gender resilience, specializing in quantitative analysis of the role of formal and informal institutions to address global challenges like food insecurity and climate change. Since completion of her Ph.D. degree from ANU in 2008, she has published on economics of diversity and social capital, land market reforms, poverty, food-water- energy nexus and inequality. She has also undertaken empirical research for a variety of international stakeholders like USAID, UNDP, DFID and ACTIONAID, on issues related to poverty, infrastructure development, health, and local governance in Bangladesh. 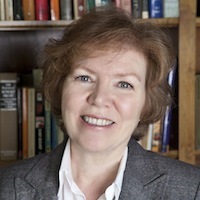 Claudia Ringler is Deputy Division Director of the Environment and Production Technology Division at the International Food Policy Research Institute (IFPRI). She is a thought leader on water-for-food linkages and food security under growing natural resource scarcity. Ringler has more than 100 publications in the areas of water management, global food and water security, natural resource constraints to global food production, and the synergies of climate change adaptation and mitigation. Dr. Mohammad H. Sarrafzadeh has an initial background in Chemical Engineering and graduated from Sharif University of Technology (Iran) and Montpellier University (France). During his master and PhD he focused on the Environmental Biotechnology with the thesis on the environmental issues and bio-based solutions for them. The fields of his expertise concern water and wastewater treatment and reuse, separation process, biological process, biofuels, nanofiltration and membrane bioreactors. At present he is an expert in the field of industrial water reuse and grey water savings and is known for his idea and works on “Water Closed Loop”. He is serving today as the Chair-holder of UNESCO Chair on Water Reuse” (http://ucwr.ut.ac.ir). Dr Hani Sewilam is an expert in water resources management and sustainable development. Sewilam is the managing director of the UNESCO Chair in Hydrological Changes and Water Resources Management at the RWTH Aachen University in Germany. He is also a professor at the American University in Cairo (AUC). Sewilam founded the Center for Sustainable Development and the graduate program in Sustainable Development at the AUC. He coordinated capacity development activities for the United Nations Water between 2010 and 2011. He managed many international research and capacity building projects in 21 countries. In 2008, he established the first North African Regional Center of Expertise on Education for Sustainable Development (RCE Cairo). Dr. Mihir Shah is a leading Indian policy maker who has spent three decades living and working in central tribal India, forging a new paradigm of inclusive and sustainable development. Samaj Pragati Sahayog, the organisation he co-founded in 1990, is one of India’s largest grass-roots initiatives for water and livelihood security, working with its partners on a million acres of land across 72 of India’s most backward districts. From 2009 to 2014, he was Member, Planning Commission, Government of India and was chiefly responsible for the paradigm shift in management of water resources enunciated in the 12th Plan. He is Distinguished Visiting Professor, Shiv Nadar University and Visiting Professor of Political Economy at Ashoka University. He is a Member of the Steering Committee of the CGIAR Research Program on Water, Land and Ecosystems. Rector of Novosibirsk State University of Architecture and Civil Engineering (Sibstrin), Doctor of Technical Sciences, Professor, Corresponding Member of Russian Academy of Architecture and Construction Sciences, Honored Ecologist of Russian Federation, Head of the UNESCO Chair on Theory and Technology of Environmental Safety in Water Resources Control at Sibstrin University. Professor Caroline Sullivan is an environmental economist with 25 years of global experience in water resources research. In addition to her long-standing commitment to work on global poverty reduction and economic development, her current research interests include the development of policy tools to support water management, reduce land degradation and promote payments for ecosystem services. She is the seminal author on work to develop the Water Poverty Index and has published widely on human water security. She has carried out interdisciplinary research for the World Bank, the African Development Bank, FAO, UNESCO, the EU, and Australian and UK Governments. Dr. Cecilia Tortajada is Senior Research Fellow, Institute of Water Policy, Lee Kuan Yew School of Public Policy, National University of Singapore. The main focus of her work is natural resources and environment policies, management and governance. Author and editor of more than 30 books by major international publishers. Her work has been translated into Arabic, Chinese, French, German, Japanese and Spanish languages. Advisor to major international institutions like FAO, UNDP, JICA, ADB, OECD, IDRC and GIZ, and has worked in countries in Africa, Asia, North and South America and Europe on water and natural resources and environment-related policies. Member of the OECD Initiative on Water Governance. Past President and Honorary member of the International Water Resources Association. Editor-in- Chief of the International Journal of Water Resources Development, Associate Editor of Water International, member of the Editorial Boards and Editor of book series on Water Resources Development of Oxford University Press, and Water Resources Development and Management of Springer. She is also editor of Springer Briefs on Case Studies on Sustainable Development and on Water Science and Technology; and member of series Advisory Board of Springer Briefs in Earth Sciences, Geography & Earth System Sciences. Pieter van der Zaag is professor of water resources management at IHE Delft and Delft University of Technology, The Netherlands. He publishes widely on agricultural water management, water allocation issues and the management of transboundary river basins. Pieter has led several multidisciplinary research and capacity building projects, mainly in Africa. A recent action research (see A4Labs.un-ihe.org ) focuses on farmers utilising nature-based water storage in the sandy beds of seasonal rivers in arid lands. This has the potential to transform the lives of many young farmers in large parts of Africa. Pieter studied irrigation engineering at Wageningen University, The Netherlands, where he also obtained his PhD degree. Professor Rob Vertessy is a water resources specialist and has held several science leadership roles through his career. He joined CSIRO as a research scientist in 1987 and is widely published in the field of hydrology. He served as Chief of CSIRO Land and Water (2004–2007). Rob joined the Australian Bureau of Meteorology in 2007 to establish a national water information service and later served as the CEO of the Bureau (2011-2016). In 2017, he joined the University of Melbourne as Enterprise Professor, Water Resources. Rob is a Fellow of the Australian Academy of Technological Sciences and Engineering. Dr. Shem O. Wandiga is Professor of Chemistry at the department of Chemistry, Director (Ag.) Institute for Climate Change and Adaptation, at the University of Nairobi and Chancellor of Egerton University. He has a Ph.D. from the Case Western Reserve University, U.S.A. Professor Wandiga was also Deputy Vice Chancellor (Administration and Finances) of the University (1987-94). Elected as Kenya’s representative to the Executive Board of UNESCO (1995-99), President of the External Relations and Program Commission of the Board (1997-99), member of the General Committee and the Advisory Committee on Environment of the International Council for Science (ICSU) (1999-2002). Fellow: World Innovation Foundation (2002-); IUPAC (2004- ); AAS (2006-), Fellow Royal Society of Chemistry (2010), Member: American Chemical Society (2010). The International Jury UNESCO Kalinga Prize for the popularization of Science (1999); member of the Board: UNESCO’s International Basic Sciences Programme (IBSP) (2004-2010); member of the Advisory Board, IDRC/DFID Project: Climate Change Adaptation Support Programme for Action Research and Capacity Development in Africa (CCAA) (2006-2008) and awarded the UNESCO Medal Prize for the promotion and development of nanotechnology and nanoscience on 10th April, 2015. He is the author of 115 papers, 82 conference presentations, 26 books and chapters in books, 12 public lectures at international conferences, 10 government reports and 13 consultancy reports. Dr. Wang is a Professor of the School of Public Policy and Management, and the vice president of China Institute for Rural Studies, Tsinghua University. His main research fields include contemporary China studies and public policy, Institutional analysis and commons governance, water resources management. Dr. Wang received his Ph.D, Master and Bachelor from Tsinghua University, and was a visiting scholar with Elinor Ostrom at the Ostrom Workshop in Political Theory and Policy Analysis at Indiana University. Dr. Wang provides consultation for many international and domestic institutes. He has published ten books and more than one hundred articles in academic journals. Sarah is an Australian Research Council Future Fellow with the Centre for Global Food and Resources, University of Adelaide. She is an Associate Editor of the Australian Journal of Agricultural and Resource Economics and an Associate Editor of Water Resources and Economics. She has been a guest editor for a special issue of Agricultural Water Management and is currently on five editorial boards. Sarah is also the Chair of the Murray-Darling Basin working group of the Food, Energy, Environment and Water (FE2W) Network. She has currently published over one hundred papers on issues associated with water, climate change and farmer adaptation behaviour. Ian White is Emeritus Professor of Water Resources at the Australian National University and elected fellow Australian Academy of Technology and Engineering and of the American Geophysical Union in Hydrology and Environmental Science. He has served as: Vice-Chair Asia Pacific of UNESCO International Hydrological Programme’s Intergovernmental Council; Governing Board representative Asia-Pacific for UNESCO Institute for Water Education; member of the Water Sub-Commission, UNESCO World Commission on Ethics of Scientific Knowledge (COMEST) and a member Editorial Board UNESCO IHP- Cambridge University Press International Hydrology Series. He was awarded a Centenary Medal for service to Australian society in environmental science and technology. John is a founding member of the Wentworth Group of Concerned Scientists, a Fellow and Chair of the Australian Academy of Technological Sciences and Engineering and holds the prestigious Farrer Memorial Medal for achievement and excellence in agricultural science. He is one of Australia’s most respected and trusted scientists, with extensive experience in providing national and international thought-leadership in natural-resource management, particularly in agricultural production and its environmental impact on land and water. John retired in 2012 after six years as Commissioner of the NSW Natural Resources Commission (NRC). He was former Chief Scientist, NSW Department of Natural Resources following his retirement as Chief, CSIRO Land and Water in 2004. John is currently Adjunct Professor in Australian National University Crawford School of Public Policy and Adjunct Professor in the Institute Water, Land and Society, at Charles Sturt University. Aaron T. Wolf is a professor of geography in the College of Earth, Ocean, and Atmospheric Sciences at Oregon State University, USA, whose research and teaching focus is on the interaction between water science and water policy, particularly as related to conflict prevention and transformation. A trained mediator/ facilitator, he directs the Program in Water Conflict Management and Transformation, through which he has offered workshops, facilitations, and mediation in basins throughout the world.